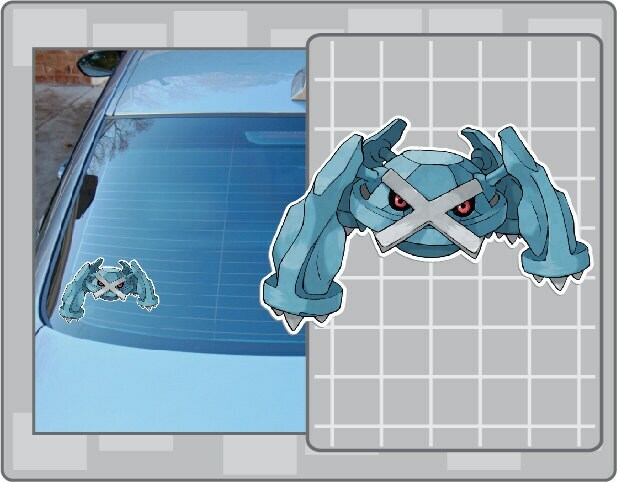 METAGROSS vinyl decal from Pokemon Car Window Laptop Sticker for Almost Anything! This is a METAGROSS from Pokemon vinyl decal sticker. LATIOS vinyl decal from Pokemon Car Window Laptop Sticker for Almost Anything! SHINX vinyl decal from Pokemon Car Window Laptop Sticker for just about anything! BLISSEY vinyl decal from Pokemon Car Window Laptop Sticker for Almost Anything! ZIGZAGOON vinyl decal from Pokemon Car Window Laptop Sticker for just about anything! ARTICUNO vinyl decal from Pokemon Car Window Laptop Sticker for Almost Anything! LUGIA vinyl decal from Pokemon Car Window Laptop Sticker for Almost Anything!